A delicious turkey dinner on the holiday table is a must: it's the one single dish that everyone looks forward to for months on end. That's why it's important to get it right, or else risk disappointing your family. 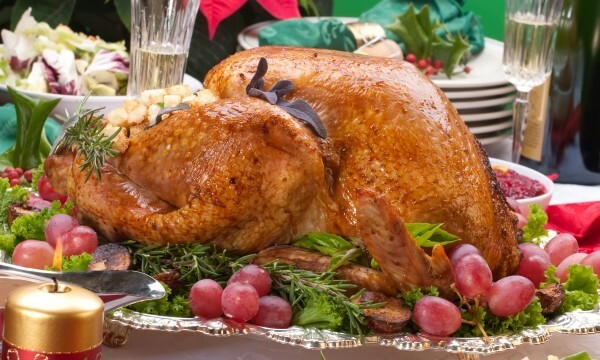 Here are five things to consider for making the perfect holiday turkey. Believe it or not, all turkeys are not the same. How they were raised are among the factors that can affect the final flavour. So what kind of turkeys are available? Also called "free-roaming" or "cage-free," these turkeys graze outdoors, giving them more muscle and a better taste. Free-range turkeys tend to be slightly more expensive. A natural turkey contains no additives — no artificial flavouring, colouring or preservatives. If you'd rather not ingest man-made chemicals, these turkeys might be your best option. Natural turkeys aren’t heavily processed, but aren’t necessarily organic. Organic turkeys are raised with access to the outdoors, like free-range turkeys, and they’re not given antibiotics, hormones or steroids. The food they eat is organic. Generally, organic turkeys cost quite a bit more, since they are more labour intensive to produce. Self-basting or basted turkeys are injected (or marinated) with flavour. 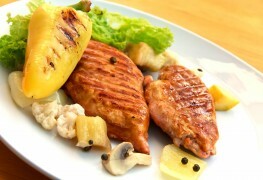 This makes the meat moist and easier to cook, but it can also reduce the natural turkey flavour. Kosher turkeys are slaughtered in accordance to Jewish laws. They are pre-salted, deeply seasoned and moist, giving them a full-flavour taste. 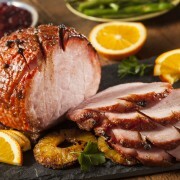 Although some people claim fresh turkey tastes best, other say a frozen turkey is as good as anything you'll enjoy. So what's the difference? Fresh turkeys are stored at about -3.3 C (26 F) until they're sold. Frozen turkeys are stored at about -17.8 C (0 F) and some turkeys are stored at in-between temperatures. Freezing can occasionally result in drier meat when it is cooked. 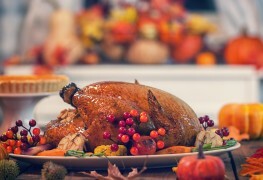 Frozen turkeys can also take a long time to thaw in the refrigerator — up to one day for every 2.3 kg (5 lb.) of bird. 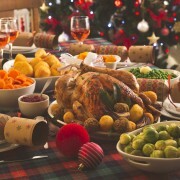 Ultimately, the choice between frozen or fresh is personal, and will depend a lot on how the turkey is prepared. Smaller turkeys weighing about 5 kg (11 lbs.) or less, are nearly always more tender than bigger turkeys. You could opt for two small turkeys instead of one large one if you’re cooking for a big group. If you’re cooking for a small group, consider some turkey breast. When cooking a turkey, allocate at least 0.5 kg (1 lb.) per person if you’re also serving side dishes. Cook extra if you want to make turkey soup, turkey burgers and more with leftover meat. Turkey stuffing is generally made of croutons (or dried bread), onion, celery, seasoning, herbs and sometimes giblets, too. There are many types of pre-made turkey stuffing mixes available. Regardless of the type of stuffing you choose, stuff the turkey just before it goes into the oven, not earlier. Keep in mind that smaller turkeys may not hold as much stuffing as larger ones, so you may want to bump up the size of the side dishes that you serve. Turkey prices vary from year to year and because poultry is a big business, there’s a wide range available for every budget. Organic, kosher or wild turkeys tend to be the most expensive, while regular turkeys will be your cheapest option. Turkeys are priced by size, so a larger turkey will cost more. If you plan to make meals with the leftovers, then consider paying a bit more for a larger bird. 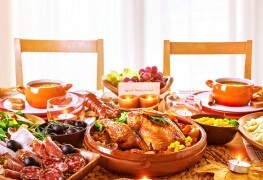 A delicious turkey makes the perfect centrepiece for a sumptuous holiday feast. Considering the type of turkey you prefer, the number of people you're planning to feed and your budget will help you pick out the right turkey for your holiday meal.